Below you will find the answers to many commonly asked questions regarding stem cell sources, collection, implantation and other general questions regarding stem cell therapy at the Stem Cell Institute in Panama. If you do not find the answer to your questions here or elsewhere on our web site, please feel free to contact us today. We’ll be happy to answer them promptly! At Stem Cell Institute, stem cells can be implanted four ways depending on each patient’s ailment and physical condition. Patients typically receive between 3 and 16 stem cell applications during the course of an entire treatment protocol. 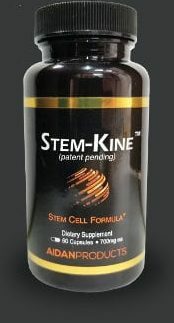 The safest and simplest method for delivering the stem cell throughout the body. Anesthesia is not required. We may use Lidocaine topical spray to needle prick area beforehand. IV administration usually takes about 20 – 30 minutes. The stem cells are injected directly into the muscle. Intramuscular implantation is very safe and does not require anesthesia. The stem cells are injected directly into the affected joint by a licensed physician. This method is commonly used for arthritis. Intra-articular implantation is quite safe and does not require anesthesia. Intrathecal administration is ideal for neurological conditions because the stem cells are injected directly into the spinal fluid past the blood-brain barrier. This enables them to reach the spinal cord and brain. During the lumbar puncture procedure, an experienced anesthesiologist injects the stem cells into the spinal canal through the lower vertebrae under local anesthesia. All lumbar puncture procedures are performed in a positive airflow room under sterile conditions. Once inside the spinal fluid, the stem cells are able to gain access to the spinal cord and into the brain. Lumbar puncture usually takes about 30 minutes. Are the umbilical cord tissue-derived stem cells used by the Stem Cell Institute approved by the US FDA? Our stem cells are the only umbilical cord MSCs that have received an IND designation from the US FDA. Human umbilical cord tissue-derived mesenchymal stem cells (MSCs) that were isolated and grown in our laboratory in Panama to create master cell banks are currently being used in the United States. How do I apply to become a patient? To start your evaluation, please complete our online Patient Application. If you still have questions, please feel free to contact us today! Once our medical team has received your medical application, it usually takes about 7 working days to review it. As soon as the review is complete, we’ll contact you to discuss available treatment options (if any) and to request any additional medical records. Once approved, a patient is scheduled for the earliest available appointment that is convenient for him or her. If you are not approved for treatment based upon your medical history, you will be notified by email. Panama City is arguably the most developed city in Central America, due in part to the large American military presence here since the building of the Panama Canal. The picturesque view of Panama City is filled with skyscrapers, apartments, world-class hotels and restaurants. Panama has been voted one of the top 5 places for retirement 8 years running by International Living Magazine. It was also voted the American Capital of Culture in 2003 by the American Capital of Culture Organization. All stem cell treatments are performed at our clinic. Only spinal cord injury patients will have bone marrow collected at a hospital. “…Many of the hospitals and clinics are new and have good, modern facilities. Most of the medical staff in Panama are trained in other countries such as the US so they are aware of all the latest developments and technologies. When compared with other countries, the standard of healthcare is considered to be high. Full care is offered at the hospitals. Is physical therapy or rehabilitation available? Yes. According each patient’s needs, physical therapy will be recommended by our medical team and provided during the course of treatment. Insurance companies do not cover adult stem cell therapy. Treatment cost depends on the type of treatment required and will be discussed with you following patient application and diagnosis. The cost of treatment includes the treatment itself plus a Hilton hotel room with breakfast, WIFI, transportation from and to the airport with VIP airport gate service and expedited customs clearance upon arrival. If you would like to get a ballpark idea about how much a particular treatment protocol might cost, please email office@cellmedicine.com and one of our patient coordinators will be happy to assist you. Generally speaking, aside from the initial pain at the injection site, the patient will not experience any discomfort. Less than 10% of (mostly lumbar puncture) patients have developed a minor fever, headache, nausea or vomiting. However , these side effects have never lasted more than three days and usually resolve within 24 hours. No long term negative side effects have been reported. Each treatment and patient is unique, and there is no guarantee of what results will be seen or how quickly they may be observed. Some patients have commented on changes during the course of their treatment, others have experienced improvement within 6 months of returning home. Some patients do not improve at all after treatment. Does smoking or drinking affect the therapy? Alcohol consumption and cigarette smoking can both be detrimental to new progenitor stem cells. It is highly advisable that people do not smoke or drink during their treatment. Will I be prescribed any drugs? Typically, the doctors do not prescribe any medication as a part of your treatment. However, they do advise a circulating stem cell enhancing supplement regime following treatment. What is the treatment protocol for my disease/disorder and how long does it take? Are umbilical cord tissue cells safe? The body’s immune system is unable to recognize umbilical cord-derived mesenchymal stem cells as foreign and therefore they are not rejected. These stem cells have been administered thousands of times at the Stem Cell Institute and there has never been a single instance rejection (graft vs. host disease). As a matter of fact, mesenchymal stem cells are approved to treat graft vs. host disease in Canada and New Zealand. How are the stem cells processed at the laboratory? Medistem Panama operates an 8000 sq. ft. Panama Ministry of Health-licensed laboratory that features 3 class 10000 clean rooms, 8 class 100 laminar flow hoods, and 12 class 100 incubators. It was founded by Neil Riordan, PhD. We receive cord donations from healthy women in Panama. Our donors sign a consent form, fill out a detailed questionnaire, and give a blood sample. The mothers’ blood and the cord blood undergo extensive testing for HIV, STD’s, hepatitis, etc. Are there ethical issues involving these types of stem cell therapy? Adult stem cells are not encompassed by the controversy surrounding fetal and embryonic stem cells. Both the Catholic Church and the Southern Baptist Church have issued papers which actually encourage research and the use of adult stem cells in the treatment of human disease, as an ethically acceptable alternative to the use of the ethically challenged fetal and embryonic stem cells. 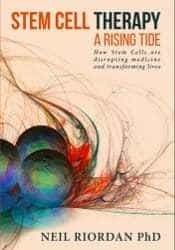 Essentially, stem cells are progenitor cells which are capable of regeneration and differentiation into a wide range of specialized cell types. Once injected, stem cells follow inflammatory signals from damaged tissues and have multiple ways of repairing these damaged areas. The mesenchymal stem cells (MSCs) we are using are considered to be multipotent (they can transform into different cell types but cannot form an organ) but not pluripotent. In the body, these cells Do NOT function by transforming into different cell types or tissues. They act via anti-inflammatory activity, immune modulating capacity, and the ability to stimulate regeneration. We go through a very high throughput screening process to find cells that we know have the best anti-inflammatory activity, the best immune modulating capacity, and the best ability to stimulate regeneration. Where do these stem cells come from? Human Umbilical Cord Tissue – a rich source of mesenchymal stem cells (MSCs). Dr. Riordan’s clinic was the first to treat patients with mesenchymal stem cells (MSCs) from adipose (fat) tissue. However, because human umbilical cord tissue is more robust source of MSCs, we no longer treat patients with MSCs from fat tissue. Which kinds of stem cells are used in Stem Cell Institute treatments? Mesenchymal Stem Cells – ideally suited for treating systemic autoimmune and inflammatory conditions. They also play a significant role in regenerating injured tissue.